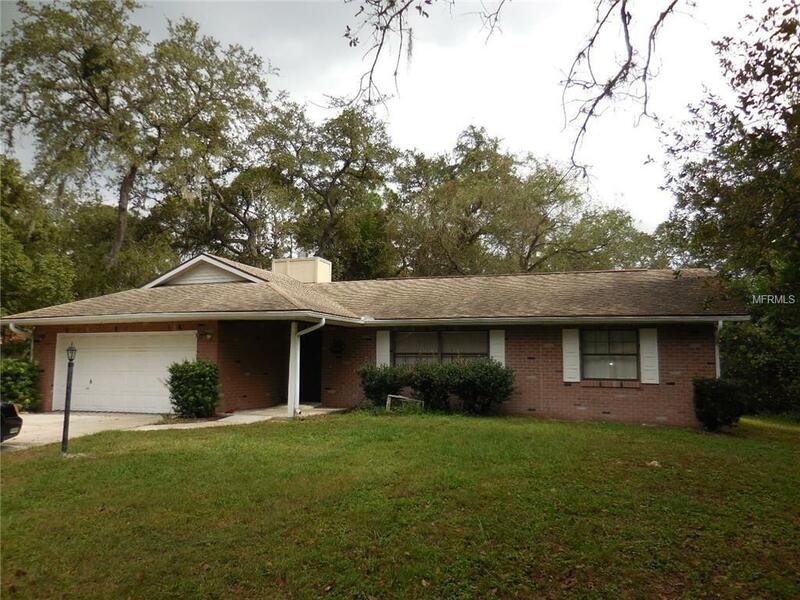 This handicap-accessible three bedroom, two bath home sits on an oversized lot in a desirable DeBary neighborhood. Despite its quiet feel, it's only minutes to highways, shopping, dining, and more. 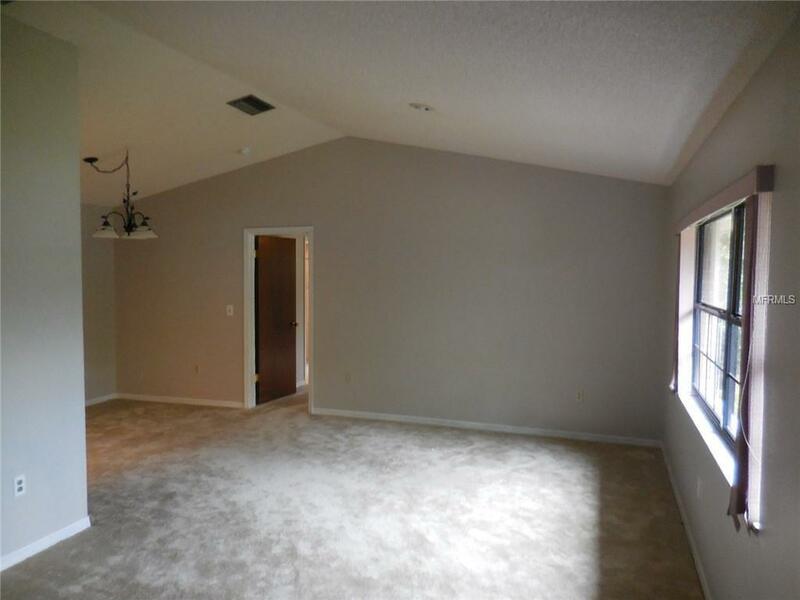 The home features an open and airy plan with vaulted ceilings and a split-bedroom plan. 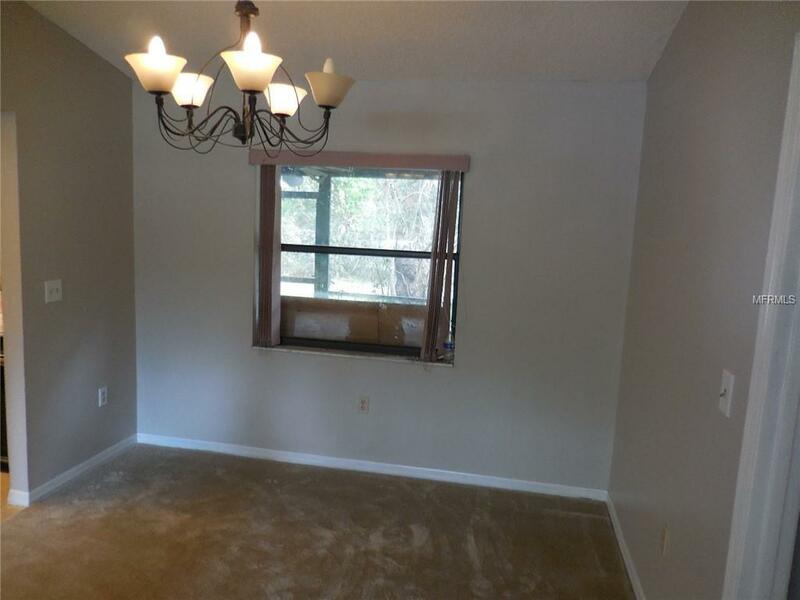 Interior features include several ceiling fans, fresh neutral paint and new beige carpet throughout. The family room offers a wood-burning fireplace and glass sliders opening to a large screened porch, where you can relax and enjoy the wooded view. The centrally located kitchen offers a small breakfast bar and features a stainless steel oven/microwave combo. The spacious master suite has been modified to provide easy access to the roll-in shower stall, and the secondary bedrooms are larger than average, as well. The laundry room is inside, and connects to an oversized two-car garage with a new electric opener. 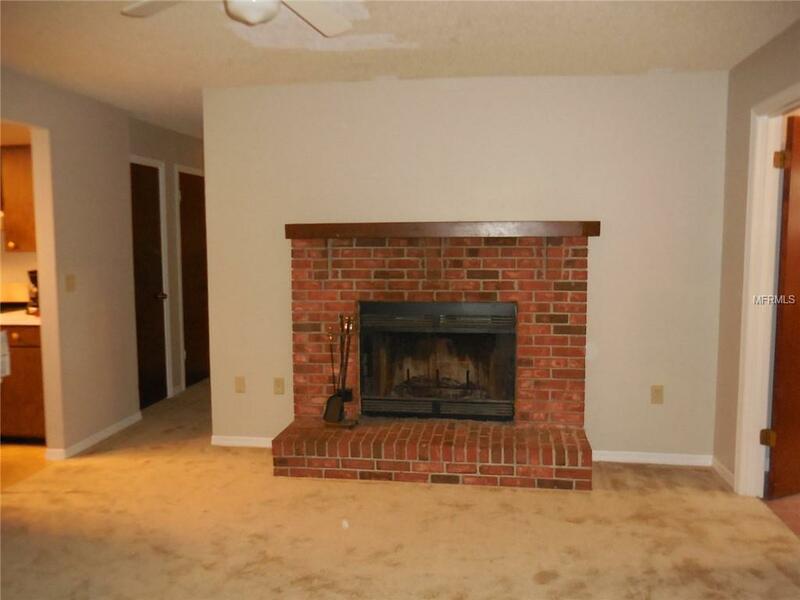 This great home was built in 1986 and offers approx. 1577 sq. ft. of living area. It's located in DeBary, approx. 30 minutes from Orlando or Daytona Beach.